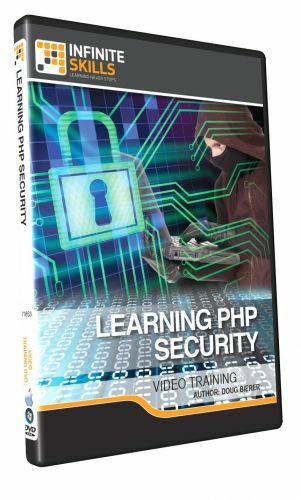 InfiniteSkills - Learning PHP Security Training Video | Free eBooks Download - EBOOKEE! Posted on 2014-02-20, by Cesc0405. In this PHP Security training video, expert author Doug Bierer teaches you about the primary security considerations that can affect a PHP website, and how you can take preventative measures. This course is designed for users that already have a working knowledge of PHP and MySQL, and who develop PHP-based websites that contain sensitive or financial information. By the completion of this video based training course, you will have the knowledge required to ensure your website is secure against attacks and free of vulnerabilities. Working files are included, allowing you to follow along with the author throughout the lessons. No comments for "InfiniteSkills - Learning PHP Security Training Video".